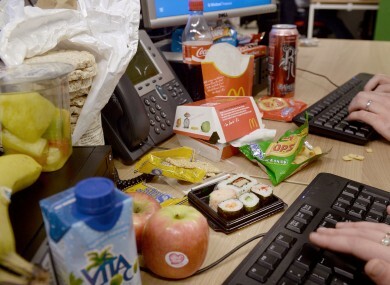 Make healthy eating guidelines more realistic, says Chair of the Royal College of GPs. HEALTHY EATING GUIDELINES, such as five-a-day fruit and veg, should be made more “realistic”, according to one of the UK’s leading doctors. Dr Helen Stokes-Lampard, the new chair of the Royal College of GPs, believes that, while getting your five a day is something to aim for, “the fact is that it remains an aspiration” for many. In a statement issued on Monday, she said that it’s “understandable” that people don’t always choose the healthy option when snacking and that doctors need to tailor their advice to an individual’s circumstances. The World Health Organisation (WHO) states that a healthy diet must contain at least 5 portions of fruit or veg a day. They highlight that eating your five-a-day can reduce the risk of developing diabetes, heart attack and stroke. In the consultation with patients it’s vital that GPs sometimes need to tailor the advice to the family in front of them. That may be starting with one or two portions a day and building up to the five portions a day. She also said that, ideally, we should aspire to eat more than five portions of fruit and veg a day. Experts in Ireland agree, and say few of us manage to get our five a day, with those on lower incomes finding it more difficult. Dr Cliodhna Foley-Nolan, Director of Human Health & Nutrition at safefood, told TheJournal.ie: “Families on a low-income tend to eat less well, have poorer health outcomes with higher levels of obesity and its’ complications. Cultural issues such as the proliferation of freezer foods and fast food outlets in areas with disadvantaged populations is mitigating against healthy eating and doctors are seeing the results every day. People in lower socio-economic groups are at an increased risk of food poverty and obesity. In Ireland we know that only 27% of the population achieve the five a day recommendation. So for many people who are eating one or two a day, then any improvement is going in the right direction. Also reacting to Stoke-Lampard’s comments was Fight the Fads, a group of dieticians who say they aim to debunk “nutritional nonsense” in the media. They provided this helpful infographic on how it is possible to eat your five a day on a budget. Dr Stokes-Lampard, who heads up the professional body for family doctors in the UK, also advocates a pragmatic approach for doctors in helping smokers quit the habit. She said that for people who are “addicted and particularly people who still really like to smoke, the prospect of quitting is not attractive” and that GPs risk alienating these people if the only message they send out is to quit. Read: What do politicians eat in Leinster House? Email “Do you manage to get your five a day? The experts say we don't get enough in Ireland”. Feedback on “Do you manage to get your five a day? The experts say we don't get enough in Ireland”.